Nosara is going to grow. Many of us have reservations about this fact, but it doesn’t mean it is not going to happen. Now is a time when most of the “American Project” has been built out. The “American Project” is the original master planned community that started about 50 years ago. 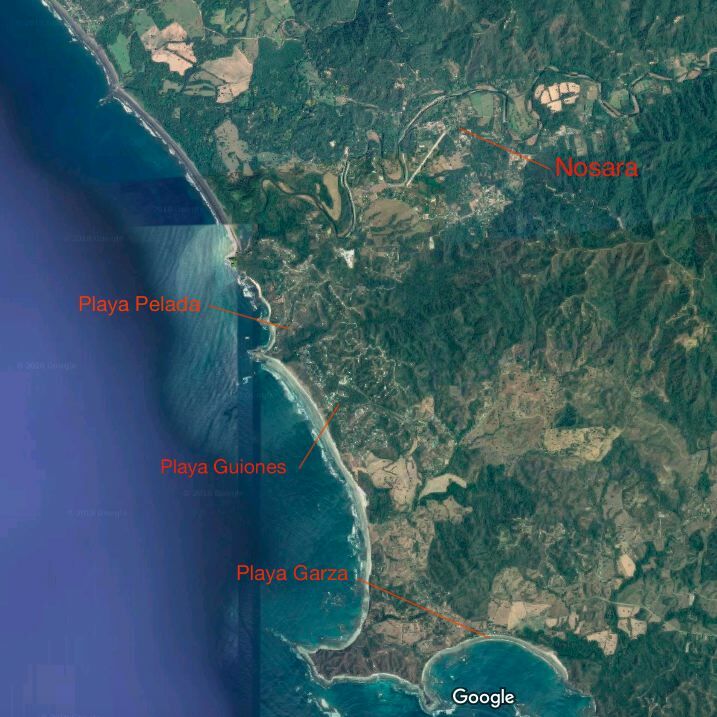 The original project included the areas of Playa Guiones and Playa Pelada. The outlying areas extended to the first ridge that called “Las Huacas” and out towards the Del Mar Academy school. 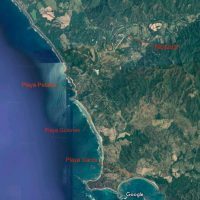 In the case of Playa Guiones, there is barely any space left and the space that is left is getting subdivided further and further to the point where you can buy a 100 square meter lot. Over on the other side in Playa Pelada, there is much more buildable space but that is changing quickly. Pelada has recently come back into favor with buyers and your eyes will tell you when you see it there is much more space for building. 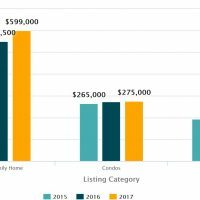 But this is changing quickly and what is left is either priced at a premium or not a premium property at all. For the first time there is fundamental reason to look elsewhere to buy land. People looking for a prime view with space, or a better price, or who want to be ahead of the curve. Whatever the motivation, people are starting to consider other options. So where will the path of progress go next? I think it is clear if you look at the constraints of progress and what customers are looking for when they buy in Nosara. There are limits; not all land is available, or nice, or has services, or has access. When you begin to eliminate areas based on these criteria, then there are two shining beacons that stand above the rest. To understand this perspective we must first focus on constraints that limit growth. Most everyone who comes to town is driven by the beach experience. From horses to surfing to morning walks, there aren’t many who have moved to the area who don’t have some interaction with the beach. Note: If you ask realtors, 90% of their clients only want property near the beach or in Guiones. This is changing, but it certainly is what people want when they first get here. So if people need to be by the beach, we are dealing with perception and subjectivity. How close is close enough to the beach? From our research in the Nosara area, anything over 15 minutes away is too far. Preferably 10 minutes, but people will be interested in being 15 minutes away if there is an amazing view. So that is the first constraint. You have to be within 15 minutes of Playa Guiones. This doesn’t mean things won’t happen farther out, but it is abundantly clear that within 15 minutes of the beach will change the quickest. Schools, restaurants, exercise, and shopping, are all part of people’s daily lives here. Therefore you can’t be too far away from these services. Things get a little less obvious here. This is because grocery shopping and the airport are in the town of Nosara. 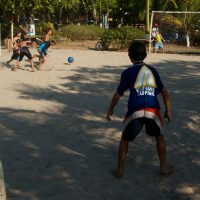 The main schools expats are attending are located in Northern Guiones/Pelada and south in Garza. Most all the restaurants are in Guiones and Pelada. This marks a pretty large area as some land is closer to the north by Nosara and groceries and some land to the south is closer to the Waldorf School. So how do you determine which is most likely to benefit? In this case it is easy to figure out because there is a central area between these points that is within 15 minutes of the beach. 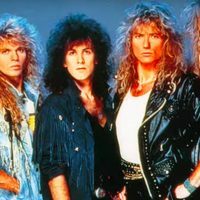 People have been freaking out about water in Nosara and Guiones. I have talked with all the ASADAS about water and the future implications of this precious resource. Note: ASADAS are the local water boards that oversee water management and distribution area by area. There are three main ASADAS in the Nosara/Guiones area. After having conversations with people and doing our own research, it is clear that better management, new systems of measurement, increased investment, and conservation efforts will help supply water in all the local areas for years to come. These things have to be implemented and the good news is each ASADA is doing just that. This does not mean there won’t be issues in the future. 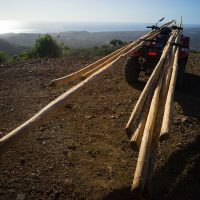 More people in the area will put more strain on all the resources and the Costa Rican government knows this. This is why the government has pushed developers to work with ASADAS and made it difficult for developers to control their own water. The government has done this by only issuing building permits to sanctioned water sources. This added level of regulation pushes developers to work with ASADAS instead of on their own. This is to say that ASADAS are now empowered to be the gatekeeper for building permits at the initial level of development. This does not mean you can’t build a home without an ASADA, but it is helpful and easier if the area is connected to one. Areas that have access to an ASADA will develop faster under the current rules and regulations. At this moment there is almost zero paved road in Nosara/Guiones. There is a small stretch in the area of Nosara, but it is dirt everywhere else. To the delight of many local residents, there is a paved road being created now. If you have lived in Nosara long enough, your attitude is, “I will believe this road is getting paved when I see it paved.” For the sake of argument, let’s assume they get the proposed paved road finished. From Garza to Nosara, the main thoroughfare will be paved. Paved road means quicker drive times and quicker drive times mean new locations are suddenly closer than before. Unless you’re actually here in Nosara, it is hard to imagine how slow driving makes things seem far away. I remember a new road that was built down in Dominical, Costa Rica to Uvita, Costa Rica. When it was a horrible dirt road, it took over 30 minutes to get from one place to another. Now that it is paved it takes 7 minutes. Consequently Uvita, which seemed like another universe before pavement, became the commercial center of the area once it was easily accessible. A paved road in Nosara will have a similar affect on the right areas. Mobility refers to getting around the area. 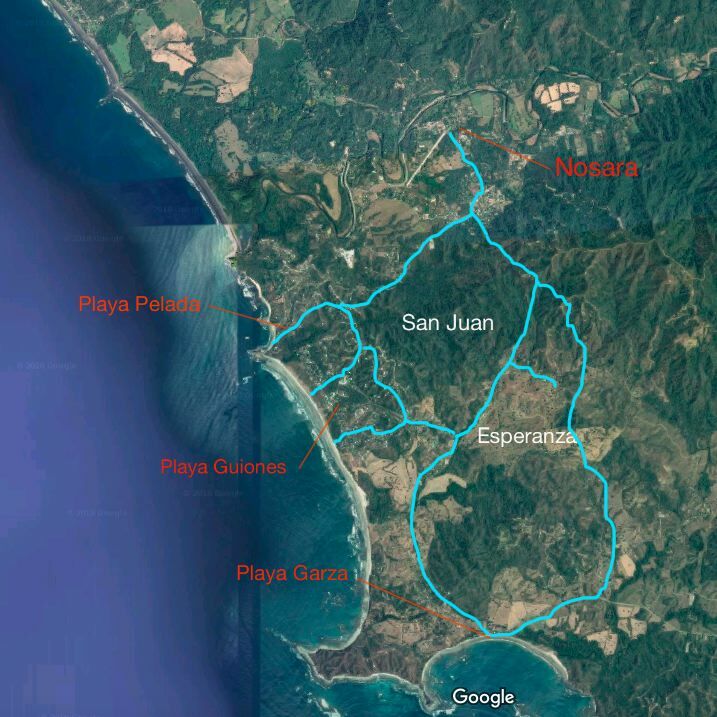 The road system of the Nosara/Guiones area is anything but efficient in terms of distances and planning. Often the dirt roads are so poor that you end up driving 10mph or less. Short distances can take time to cover and it takes some getting to used to once you are here. Many property owners live at the end of a one-way road and they have no choice but to drive that road every single day to access other areas of town. For busy families or people going to surf twice a day this is a significant factor when buying because some of these one-way in, one-way out roads cause drive times to skyrocket when accessing other parts of town. For example, if you live at the river mouth in Pelada and want to drive to Garza, it can take 25 minutes. But if you live in K section on the south side of town the drive is more like 15 minutes. This matters if you have to bring your child to school at the Waldorf school in Garza every day. Mobility is how we refer to how easy it is access the main areas of town from any particular location. 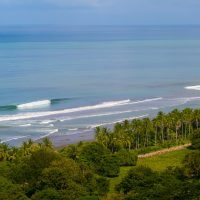 As buyers consider other areas besides Guiones to live in, they will still drive to Guiones to surf, eat, and socialize. This is where mobility matters. The areas with the most options for access will flourish. Central locations that offer beautiful views and good living options are going to grow much faster than locations on the fringes. 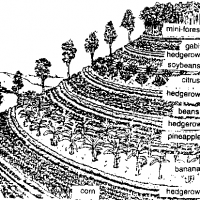 There is a lot of land in the area that is not developed, but much of it is for agricultural use, is owned by people who have no interest in developing, or is zoned in way it can’t be developed. Several open areas around the region will never be developed and that is great. That also means that areas that can grow need to be have the ingredients to grow like water, but also space that can be developed. -Two schools equidistant, a Waldorf school and a Montessori School. -ASADA water is available and the networks are expanding to cover new areas there. 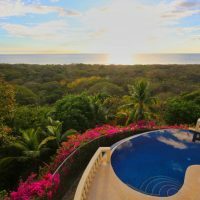 -The land is within 15 minutes or less of Guiones, Pelada, and Garza beaches. -The views are incredible, the land is beautiful, and the open spaces intrigue. -Varied price points make the area attractive to many different types of people. -With an abundance of water near by the land can support growth. Grocery shopping and airport are marked by the light blue rectangle. Schools are marked by green rectangle. The one towards Nosara is Del Mar Academy, a Montessori school and the one Towards Garza is Las Estrellas, a Waldorf School. The newly paved road is marked with pink line. 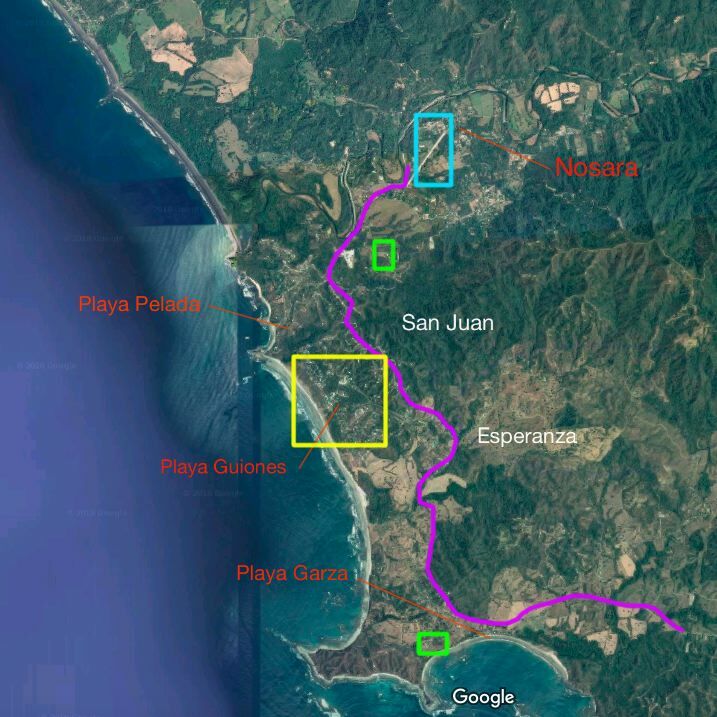 And the most restaurants, socializing, and surfing will be done in Guiones marked with the yellow square. A recent water study highlighted this area as the place with most water suitable for municipal use. 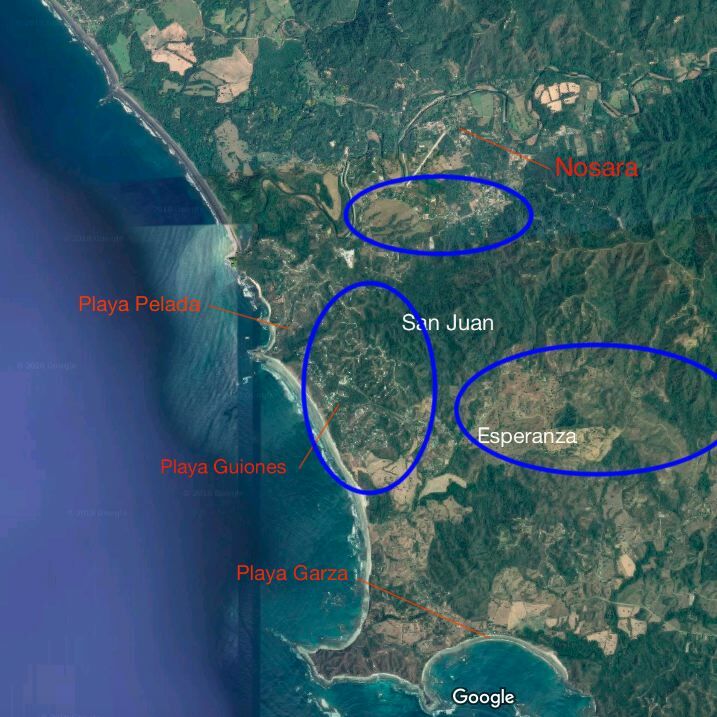 Esparanza and San Juan are blessed with several internal roads that allow easy and quick access to the Airport, Guiones, Pelada, Garza and even Nicoya. If you’re an investor or considering a home purchase in Nosara, San Juan and Eperanza are worth a look. It doesn’t take a rocket scientist to see that’s where the path of progress is heading. Hi John, thank you for your support. To Subscribe just enter your email and hit the subscribe button on any page on the site. You will get all the information from new articles to special offers first. So the only thing missing from your blog is the price range of properties, from highest to lowest. How is one to know whether an investment is a possibility or not without this knowledge? Ole Thanks for commenting. We do have the price range of properties here https://nosararealestateblog.com/nosara-home-prices/ We are working on updating with more detailed information now. My husband has his eye on Ecuador. I am more curious about Costa. We haven’t been to either and are going to take a nice, long, extended vacation to Ecuador in the near future. We have two kids and my husband dreams of surf again. We’d love to open a surf retreat .. is Ecuador still good for this? Costa seems less affordable and highly saturated already. Thoughts? Thanks. Hi Guys. Ecuador is a great place too. I think the quick comparison breaks down as follows. 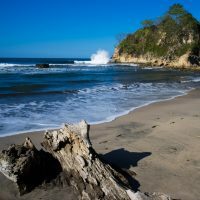 Costa Rica is more expensive, their are more expats and foreigners who call Costa Rica home. Because of this fact more expat type services like restaurants hotels, schools, and medical facilities are available. This makes living in Costa Rica as a foreigner easier in general. Ecuador is much cheaper, a bigger more diverse country in terms of geography and the people who live there. Ecuador has a more differentiated economy and more variety if you prefer to live in a city. But Ecuador is not as stable, if you look at the two countries over the last 20 years there is no doubt that Costa Rica is the more stable of two. 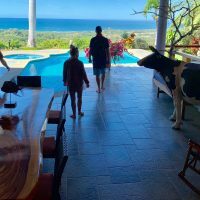 I like both countries and have considered living in both seriously, but ultimately I chose Costa Rica because it is easier for me and my family. It all makes sense when you break it down. I very much look forward to hearing about plans and offers. Please see other email sent to direct reply. Do need to know some specifics (eg where is the road relative to the lot/relative to the view? Let’s start a conversation to get us comfortable to make a deposit.